With over 10,000 delegates descending on Cannes including 1,480 exhibiting companies and 3,600 buyers from 102 countries MIPTV is as relevant as ever in this new age of storytelling. Despite the torrential rains Cannes put on a magnificent MIP conference and as a first timer it was an opportunity to get my feet wet in an international market. As the recipient of SPA’s Ones to Watch 2017 Mentorship Programme and Internship Award, I was fortunately given a rare opportunity to attend this crème de la crème event thanks to SPA and Reed MIDEM. Over six days I attended a combination of MipDoc, MipFormats, In Development, CANNESSERIES and MIPTV. It represented the largest gathering of industry executives, providing unparalleled access to global trends in programming and new technology including digital formats, 4K, Ultra HD, VR and AR. My first takeaway for emerging practitioners: you can’t imagine what it’s like to attend an international market, it’s essential to get a feel for the program first-hand. It was the biggest event in my television career to date. Being in the company of great Australian producers including Brian Cobb of Cobbstar Productions and distributor Anthony Mrsnik of Escapade Media, I came to realise MIP has launched many successful Australian careers and continues to sell high-quality content destined for the international market. Secondly, meeting with television and digital entertainment professionals from all over the world is an amazing opportunity but also overwhelming. 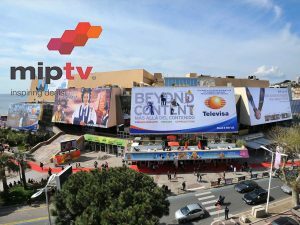 A specially designed ‘How to MIPTV’ Programme is the secret to an enjoyable and rewarding mip experience. The afternoon included a session with The Pitch Doctor followed by a discovery tour of Palais exhibition floors and networking event. Thirdly, wear comfortable shoes. Putting my best foot forward each day was a must for building solid foundations from a product, creative partnership and business point-of-view. I was on the constant move between keynote presentations, first-look screening and pitching competitions. Producers gave great feedback on my slate and had several positive meetings with commissioners and distributors that are harder to access back home. A big ‘thank you’ to Tony Iffland (ABC Commercial) and Caroline Spencer (Fremantle Media, AU) for their time and inside knowledge, and Natalie Apostolou for making my first MIPTV experience so enjoyable and memorable. What I can say to fellow emerging producers is go for it! The international content business is an unbelievably exciting place to be in right now.